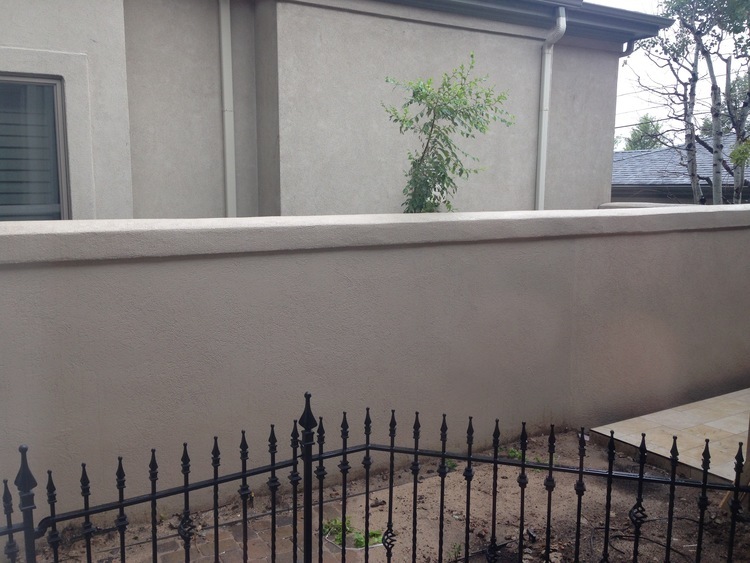 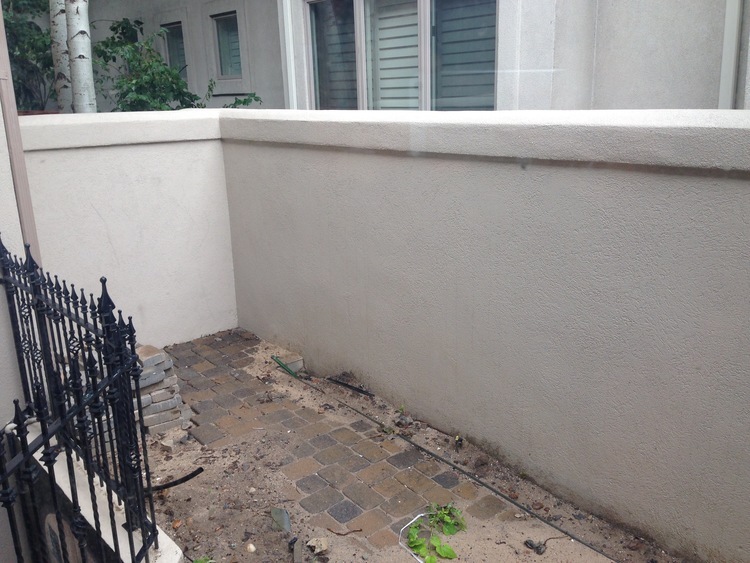 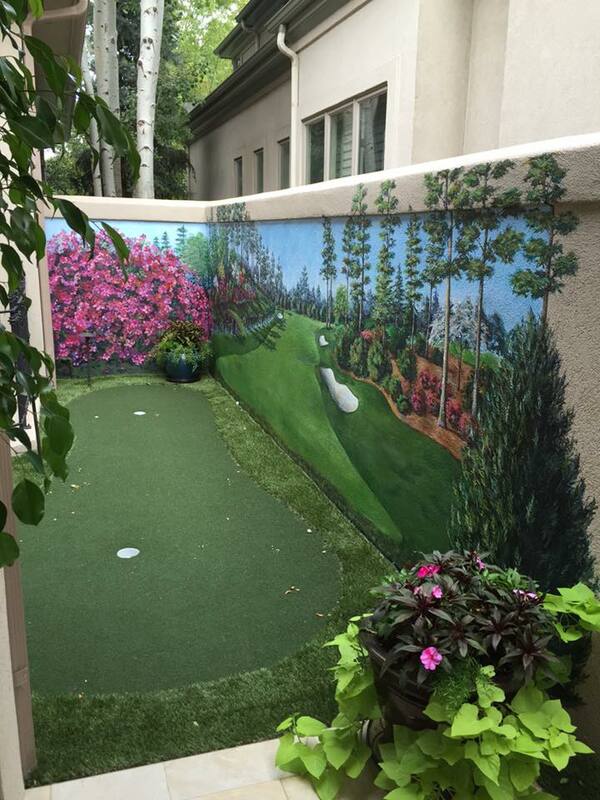 This 23′ long by approx 5′ high mural belongs to a homeowner who had a vision to turn a narrow and unused part of the patio into a colorful putting green. 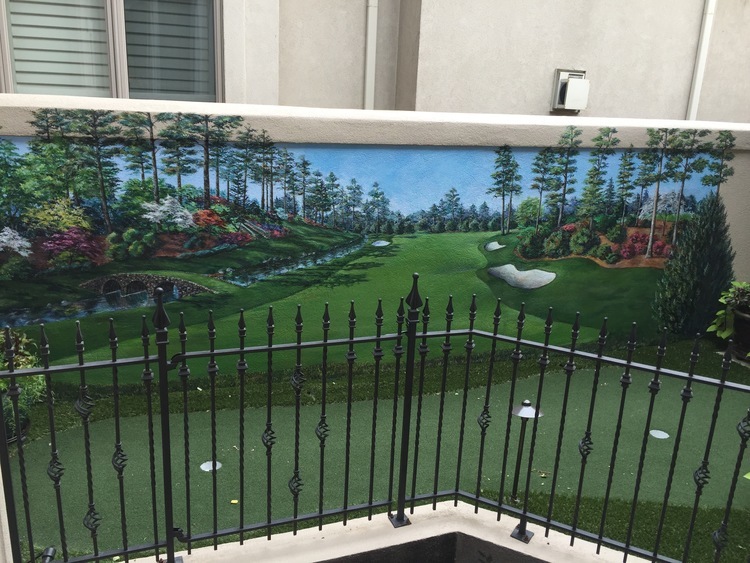 This mural is a unique golf course scene that is inspired by the Augusta Nationals Golf Course. 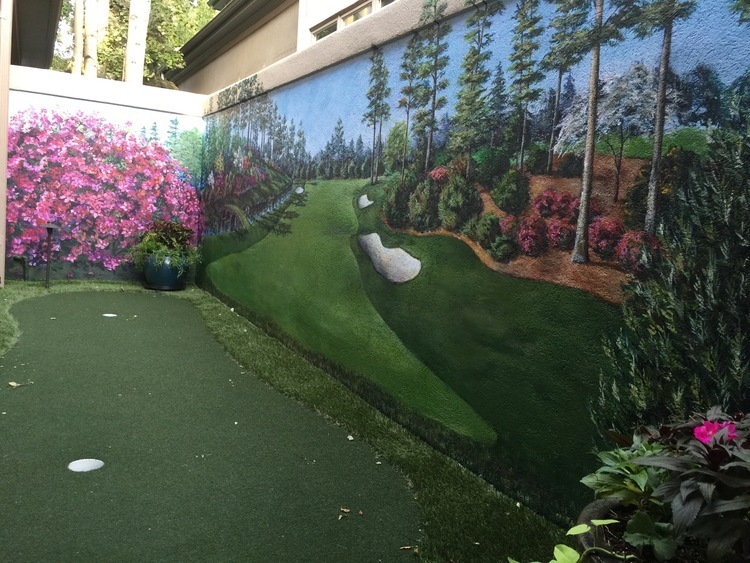 It creates a feeling that the golfer has hit the ball from the tee box and up onto the green. 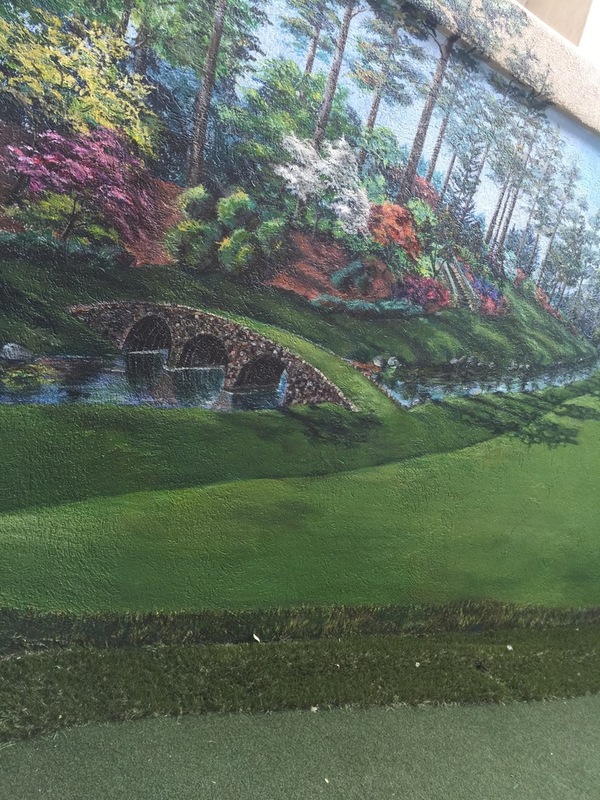 The trick of the eye is called trompe-l’œil. 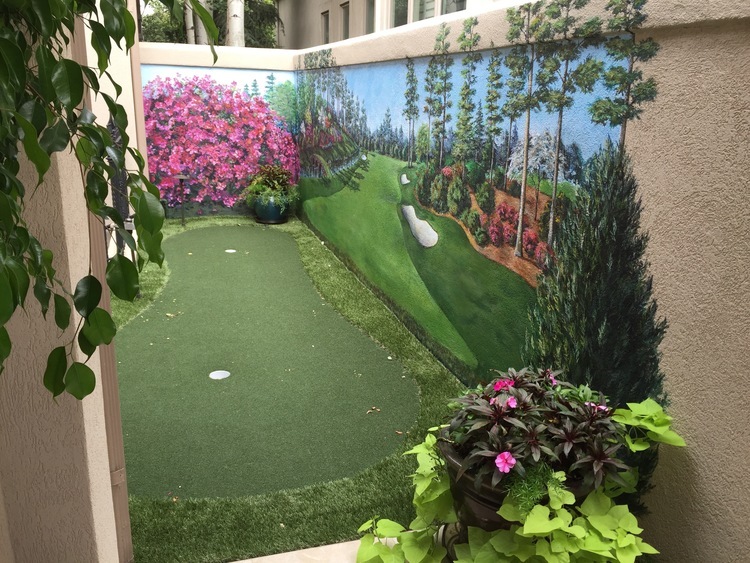 It opens up and transforms the space to make you feel like you are actually there, smelling the fresh cut Bermuda grass, the manicured pine bushes and viewing the brilliant pinks of the azalea bushes.